World of Beer has promoted Dave Reid to the new position of chief operating officer, the company said on Monday. Reid was most recently vice president of operations for the Tampa, Fla.-based craft-beer-tavern franchise. Reid is a 30-year veteran of the restaurant and hospitality industries. 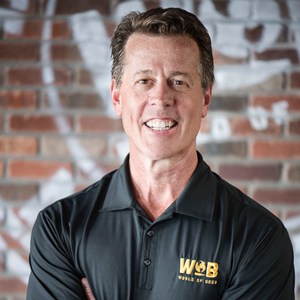 Prior to joining World of Beer, he served as chairman of the Florida Restaurant and Lodging Association and worked for 21 years with Miller’s Ale House. World of Beer has 75 restaurants in 23 states, as well as China and South Korea. The company said it plans to open locations soon in Indiana and Oklahoma.